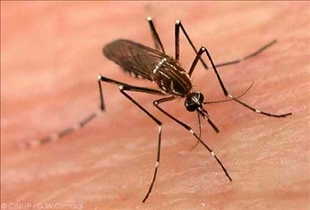 Dengue fever and malaria amongst the topmost dreaded tropical diseases known to man. Aside from their tendency to occur in the tropics and their common carrier however, they are as different as any two diseases can be, as you will see in this comparison article. Dengue fever is an acute febrile disease that is transmitted mainly by mosquitoes. The disease commonly occurs in the tropics and it could be potentially be lethal. Dengue fever is caused by four virus serotypes that are closely related to one another, all of which belong to the Flavivirus genus Flaviviridae family. The disease was first identified in 1779, and it has also been called breakbone fever, due to its extremely painful symptoms. Malaria is an infectious disease carried by mosquitoes as well. 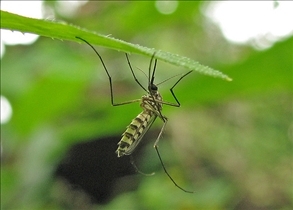 Like dengue fever, it is quite common in the tropics, although it has also been seen in the Americas and Africa in addition to Asia. The disease is caused by a eukaryotic protist belonging to the Plasmodium genus, and it affects as many as 250 million people every year. In Africa alone, the disease causes the death of anywhere from one to three million people a year, most of whom are children. Malaria is in fact considered a primary contributor to poverty in many countries. Dengue fever often manifests itself as a fever that occurs very suddenly, which may be accompanied by headache, muscle pain, and point in the joints that can be very severe. This last symptom has given the disease the name break-bone fever or bone crusher disease. Dengue fever can also cause the skin to erupt in a hemorrhagic rash characterized by bright red spots that first appear on the lower limbs and the chest, and later spreads throughout the rest of the body. Patients may also experience severe pain behind the eyes, abdominal pain, nausea, diarrhea and the vomiting of what looks like coffee grounds but is actually congealed blood. Some of the symptoms of malaria are fever, chills, joint pain, vomiting, anemia, and convulsions. Patients may also experience a degree of damage to the retina. Malaria typically causes the appearance of a series of characteristic symptoms, starting with a period of sudden coldness followed by fever and sweating that may last from four to six hours. This cycle may repeat itself every two or three days, depending on the particular strain that the patient has. Although there is no vaccine for dengue fever and malaria, there are medications available that can reduce the risk of contracting the diseases. These medications have to be taken daily or weekly, and they provide a feasible option only for those who are temporary visitors to the area, since local residents are often unable to afford the cost of such medications. The infection resides in the liver. Which disease is more prevalent?